Whyte Cleon Limited is an Human Resource Outsourcing Provider & Management Solutions Provider. 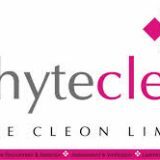 Whyte Cleon Limited was incorporated in 2010 and commenced full operation immediately. Our strategic focus is to provide practical and specific solutions to help our clients’ bridge the gap between Strategy Development, Talent Acquisition, Strategy Execution and Organizational Performance so as to ultimately impact their bottom-line. We have steadily grown into one of the most sought after and preferred HR Outsourcing providers in Nigeria with over Seven thousand employees spread across the nation and with an international office in Nairobi, Kenya.